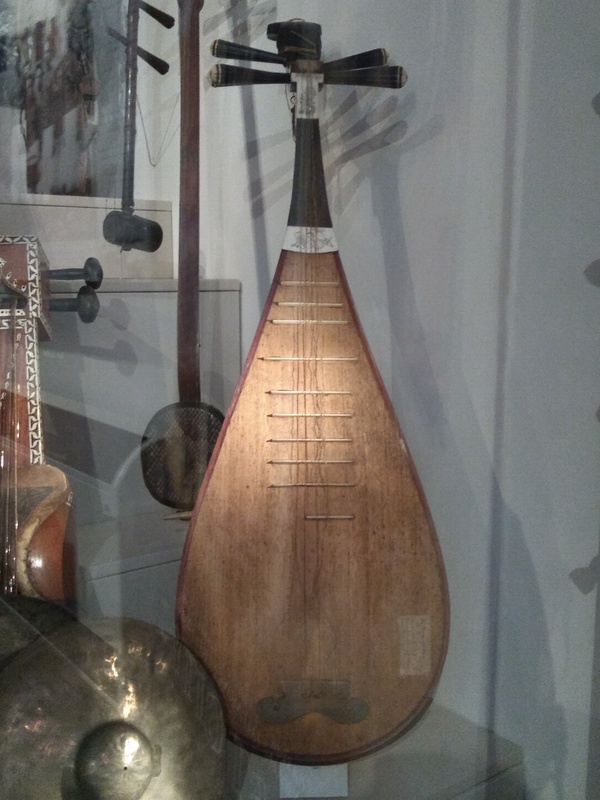 This is a pipa, a Chinese musical instrument, on display in our Explorers gallery. It is one of China's oldest instruments, is made from gut and while it is a lute, it’s played like a guitar. This one was collected by Charles Paget-Blake while in China.